It’s almost time for the Easter Bunny to hop his way into town, and you know what that means (other than our favorite movie coming on TV). It’s easter egg time! But skip the grocery store dye kits this year. Seen on Pinterest has 10 hacks to get your Easter Eggs in Instagram-worthy shape. 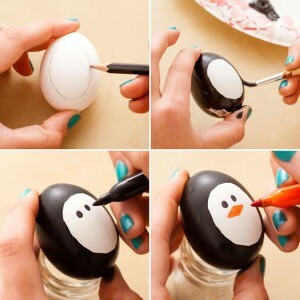 Black paint and sharpies make these ridiculously simple penguin eggs. 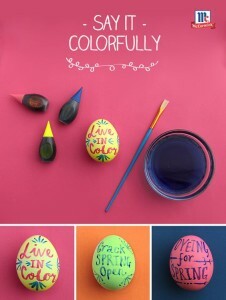 McCormick food coloring and paintbrushes come together for these fun, quote inspired eggs. 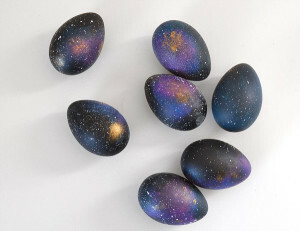 Space-inspired eggs are perfect for budding astronauts. Use coffee, tea, and household spices to make organic egg dyes. How adorable are these Minion eggs? Get creative with fun phrases in these DIY stenciled eggs. Cool Whip + Food Coloring = Gorgeous marbled eggs. Egg People? We can’t even.